Portland is one of the teams that will move from Class A to Class B next season if the new football classification plan is approved. 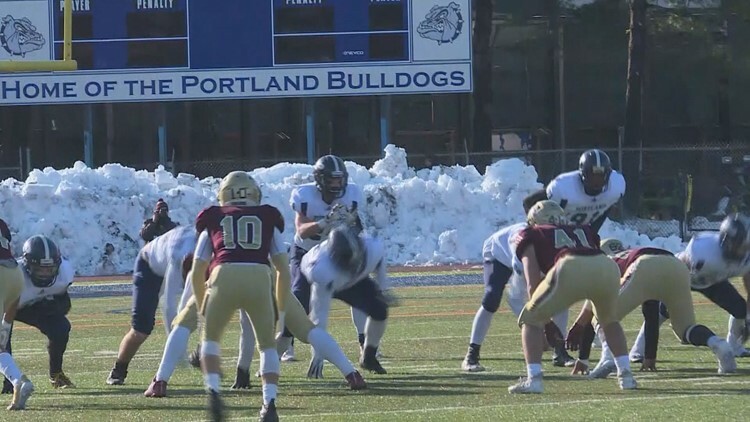 PORTLAND, Maine — The upcoming high school football season in Maine will look a lot different than in year's past for the big schools and the small. A plan has been developed that would reduce the number of teams in Class A to just eight. That's down from 14 last season. Thornton Academy, Lewiston, Bonny Eagle, Bangor, Edward Little, Oxford Hills, Sanford and Scarborough are the only schools that will play in Class A if the new proposal is approved by the Maine Principal's Association later this month. Traditional Class A schools like Portland and Deering will move down to a 22-school Class B that is split into north and south divisions. The new Class A will no longer have north and south divisions. There are also ten schools slated to play 8-man football next year, including Yarmouth, Gray-New Gloucester and Mt. Ararat. Those teams will play in the over 350 student class. The MPA will make a final decision on the changes at its spring conference on April 25th.